Don't be afraid to play! 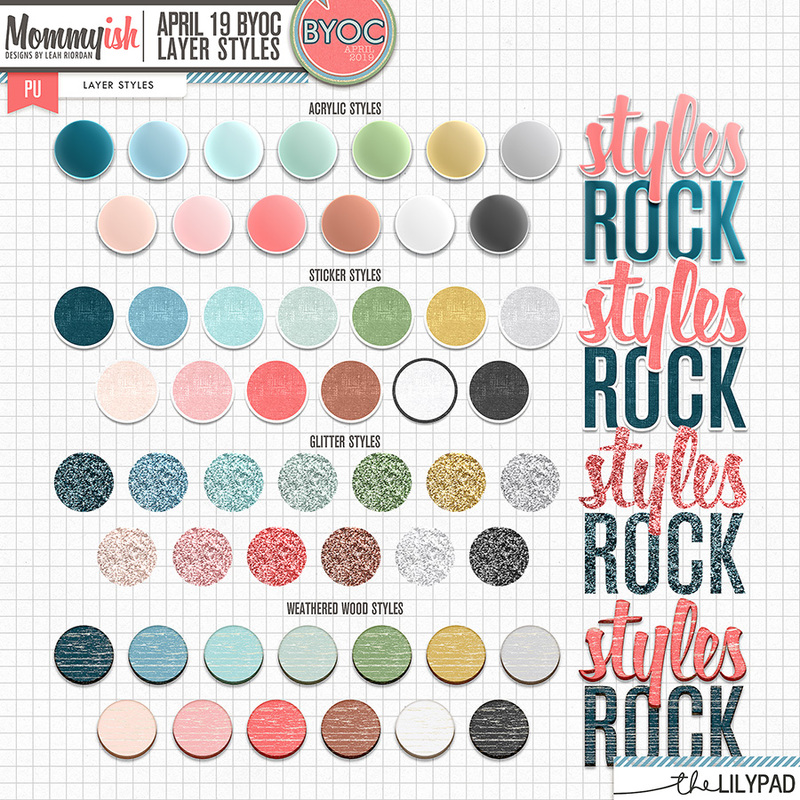 This set of layer styles matches perfectly with the BYOC Colors for April 2019 BYOC Styles. This month you get FOUR beautiful effects, each in the collections colors, that make creating titles and more elements a cinch!